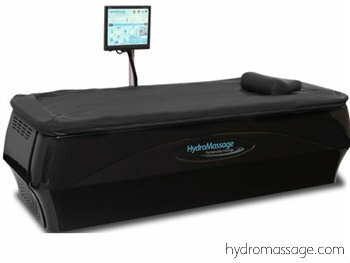 Red Rock Chiropractic Center has added a HydroMassage table to our toolbox for treating a variety of pain conditions. This is a quick, convenient way to get a massage in as little as 15 minutes, or longer if desired. HydroMassage therapy is great for people with muscle tension, fibromyalgia, back pain, neck pain, tension headaches, and for those just looking for stress relief or relaxation. Appointments can be made for this service apart from chiropractic treatment if desired.